Among the many ways to combat a drug epidemic, an app competition is easily the strangest. Abuse of illegal and prescription opiates alike is a massive problem in the United States. Since 1999, deaths due to these substances has tripled. 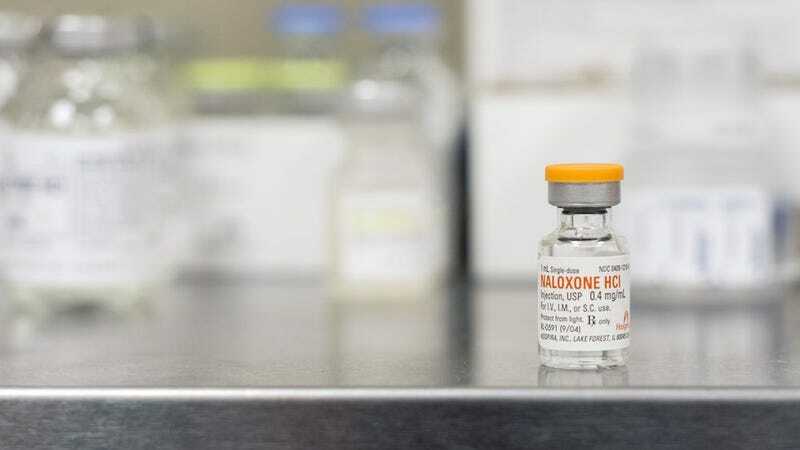 Overdoses can be reversed by administering Naloxone, but availability of the life-saving drug is spotty—some states have found ways sell it “over the counter”; others insist on a prescription. The FDA has supported greater access and is reviewing labelling that would make it truly OTC in every state. Making Naloxone available to those who need it is, of course, admirable. And in recent years it been put into the hands of community organizations and friends and family members of opioid users for that reasons. But an app for the general public raises a slew of questions about putting such a service into practice. Do most people know what an opioid overdose looks like, or have any idea how to administer Naloxone? What sort of adoption rates are necessary for such an app to be faster or more effective than just calling 911? If administered improperly or to someone overdosing on some other substance, who is at fault? FDA did not have good answers to these questions, and it’s unlikely they’ll be satisfactorily answered over the course of a two day code-a-thon. The FDA’s hypothetical use case involved two neighbors—one a Naloxone carrier and other experiencing an overdose—being connected by this app and preventing an unnecessary death. Though that scenario presumes a lot about proximity, responsiveness, app adoption, and training that suggest it might be safer and more beneficial to simply call 911. The announcement coincides with Prescription Opioid and Heroin Epidemic Awareness Week and comes less than a month after the DEA classified kratom—a legally contentious plant addicts have been using to withdraw from opiate addiction—as a schedule 1 drug. The Naloxone App Competition is not the first contest the FDA has run. A similar initiative, targeted at detecting salmonella, took place in 2014. The winner’s submission, according to an FDA spokesperson, is still in the process of being rolled out. Correction: An earlier draft stated the registration opened on October 7. Gizmodo regrets the error.